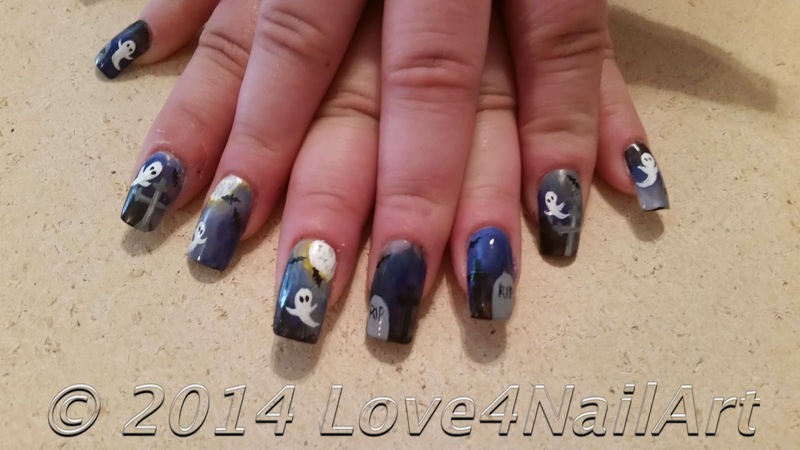 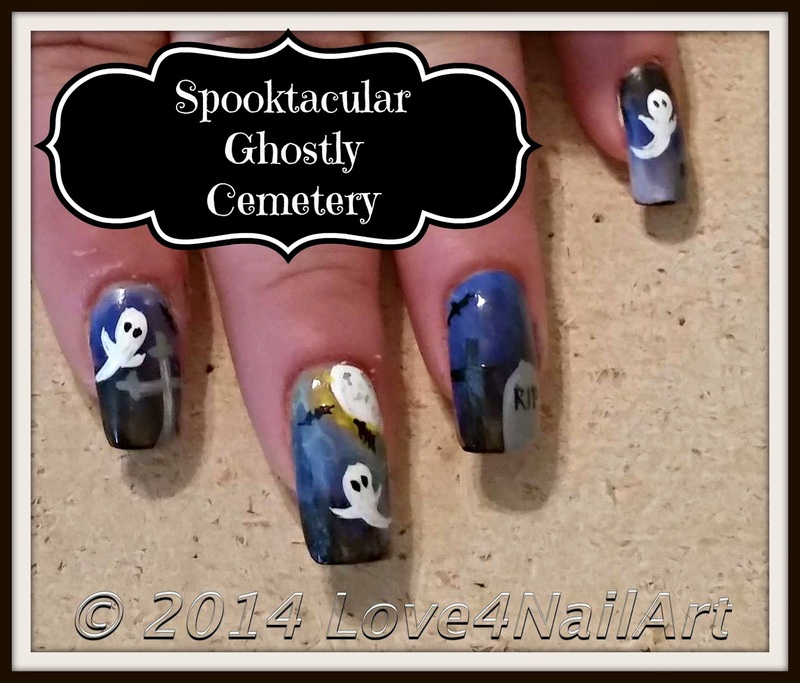 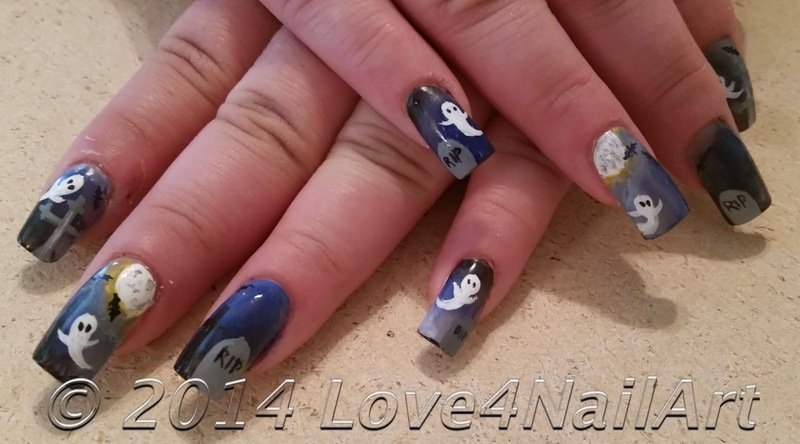 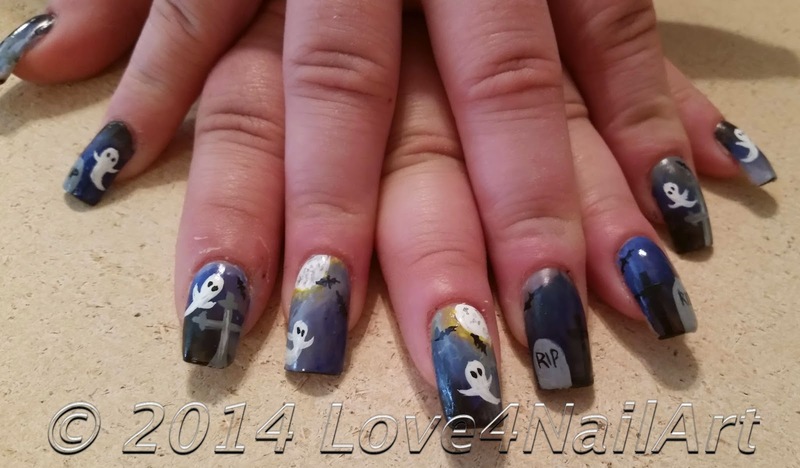 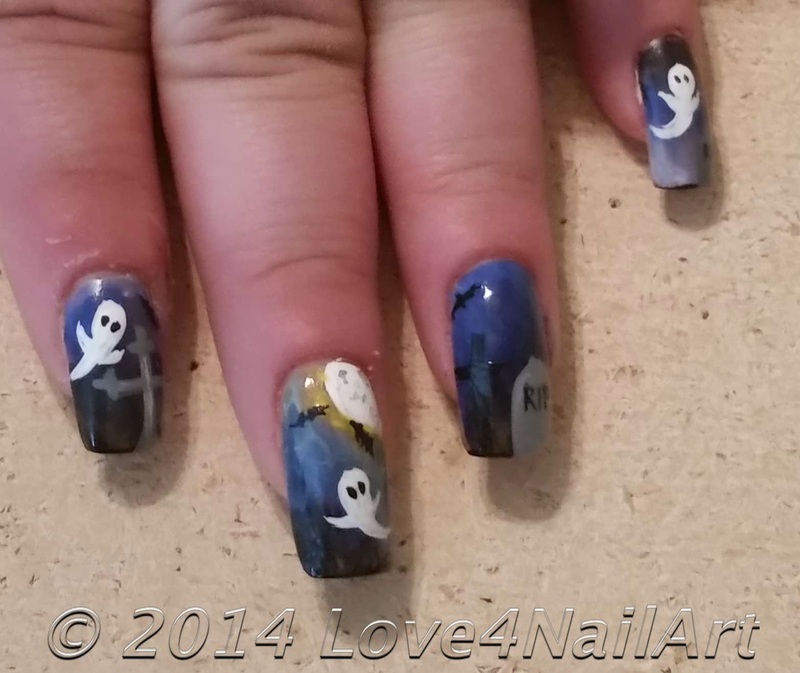 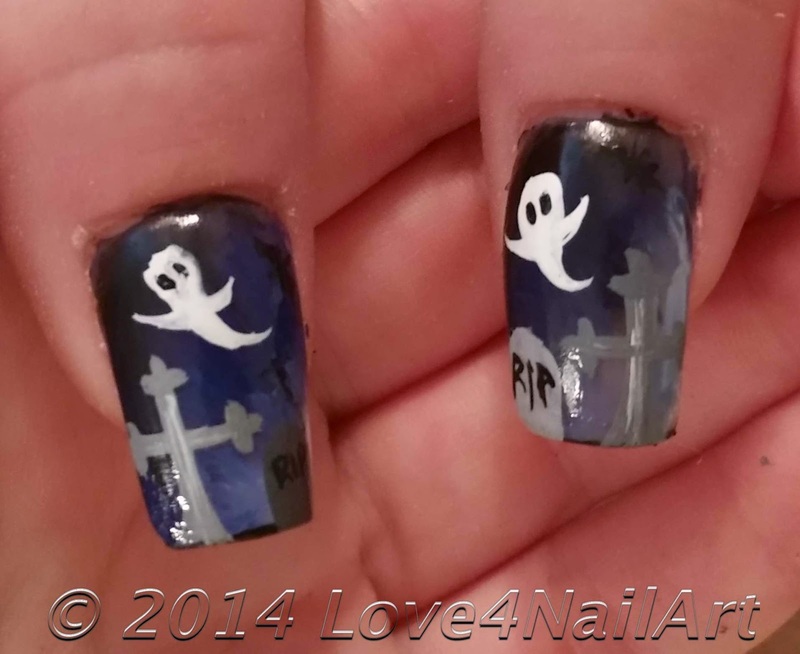 Here is another CUTE Halloween nail art design idea! 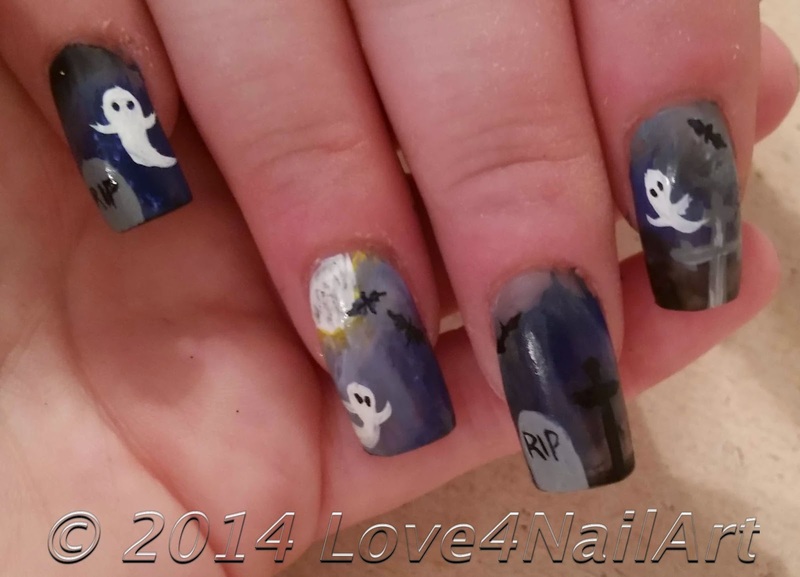 I painted with the acrylic paints on top of a matte topcoat. 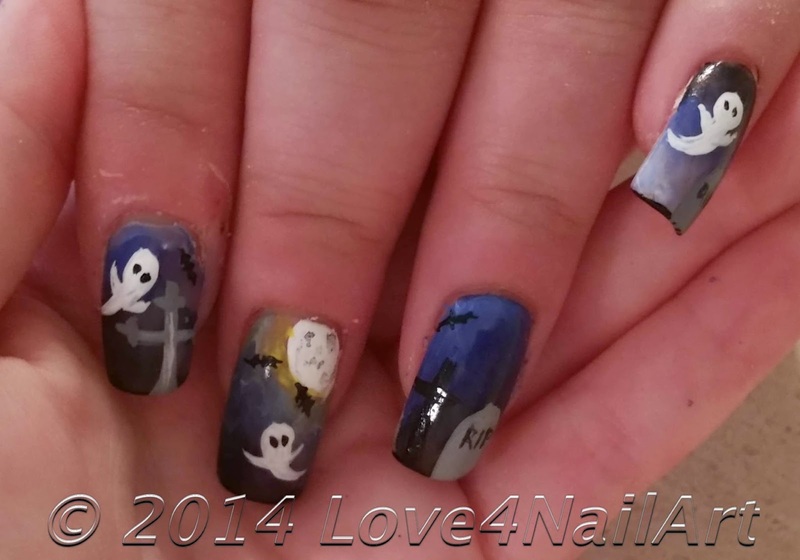 I just used paints to get this look.